Are you planning to buy software to draw the flow charts and other graphs? There is no need of that. 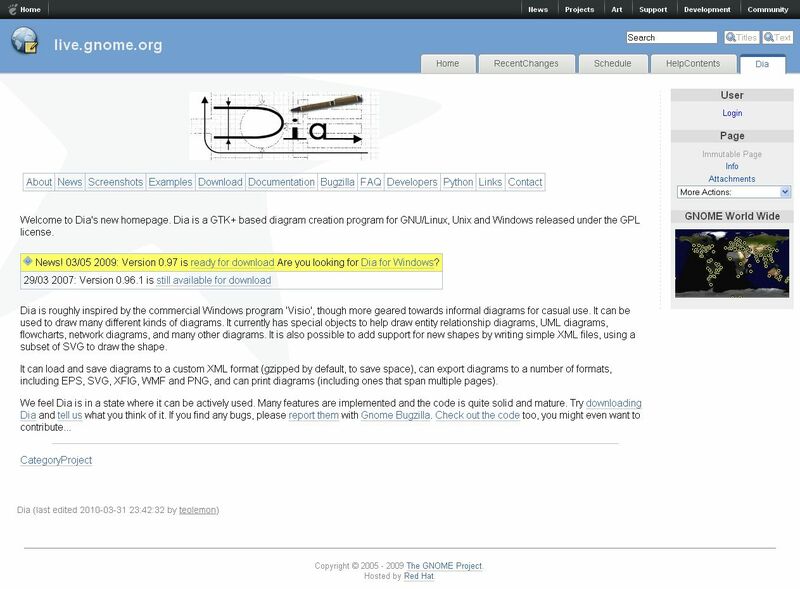 Just install the Dia open source code software. It works same to that of the Visio software that is been designed by the Microsoft. There appears a window with the option like menu bar, special tool bar and a grid line when the windows version set up file is installed. There appear many signs on the left side like Assorted, Flowchart, and UML and so on and the charts can be prepared by selecting each of them. One can draw the graphs like Relationship Diagrams, UML Diagrams. Flowcharts, Network Diagrams and so on. To edit the drawn graphs select the arrow marked Modify option and to get the text in the chart select T in the left side. The graphs that are designed in this can be saved in the Excel format and it also takes the zip format by default. There is also an option to export the graphs in the EPS, SVG, SFIG, WMF and PNG formats. « How to take print of website page without ads, unwanted images and data? » How to know the Battery charge status without looking into status bar?